We invested significant time, research and funds into ensuring we had products that offered something distinctly different. Our major unique selling point is our innovative, cutting edge, custom-designed vessels that were specifically crafted to operate in the Whitsundays marine environment. No-one else operates a vessel like ours, perfectly designed to make the most of the local area and providing a fun and adventurous, but safe and stable ride. 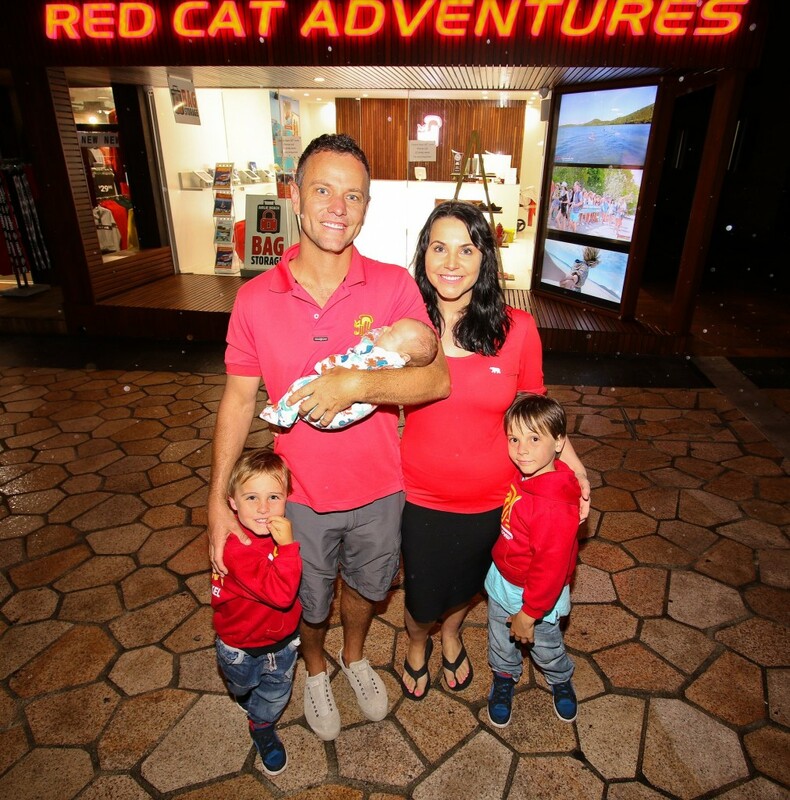 Who are the people behind Red Cat Adventures? Julie and Asher Telford operate a relatively new, rapidly growing, family operated business, with 24 staff delivering 'the adventure of a lifetime'. So intrinsic is a love of the environment throughout our family and business, that for their birthdays last year, our then four and two year old little boys asked that, instead of toys or presents, they'd like to ask their friends to donate to the 'Fight for our Reef' campaign. They said they wanted to save the turtles. They proudly donated a grand sum of $280. We could not be more proud. Our greatest business achievement was taking the time to research and design 'soft adventure' watercraft, 'Thundercat', built specifically for the Whitsundays. Launched in 2015, it was so successful that a second boat, 'Wildcat' was commissioned and launched in November 2015. Both boats have delivered an outstanding 98% seat load factor year-round ever since. Winning double Gold Whitsundays Tourism Awards in 2017 and 2018 are some of the proudest moments of our lives. In 2005, Julie (then a British backpacker) met Tongarra skipper Asher while on a Whitsundays sailing trip. The couple moved to Adelaide but after five years sold everything and bought a boat, the boat they fell in love on! In 2011 they commenced operating Tongarra Sailing Adventures then years of research and planning, perfecting new tourism offerings and investing in a custom designed watercraft, saw Red Cat Adventures born in 2015. They’ve rapidly expanded, now operating three vessels, six different tourism products, managing a luxury resort and planning further expansion. What’s your ultimate vision for Red Cat Adventures? Financially successful, national award-winning business, recognised for innovative tourism and event products, delivering outstanding customer experiences and a positive environmental contribution. A testimonial about Red Cat Adventures?